09/02/2018 - The United Nations Educational, Scientific and Cultural Organization (UNESCO) and the Global Network Initiative (GNI) held a colloquium in Paris on 8 February 2018: Improving the communications and information ecosystem to protect the integrity of elections. Prior to that meeting, IAMCR’s Clearinghouse for Public Statements prepared a statement on contemporary challenges for media and communication research posed by digital disinformation. In the face of rising concern about “fake news”, legislation being considered by various countries, and global debate, such as UNESCO's 2017 colloquium Journalism Under Fire, the media and communication research community needs to take on the issues. 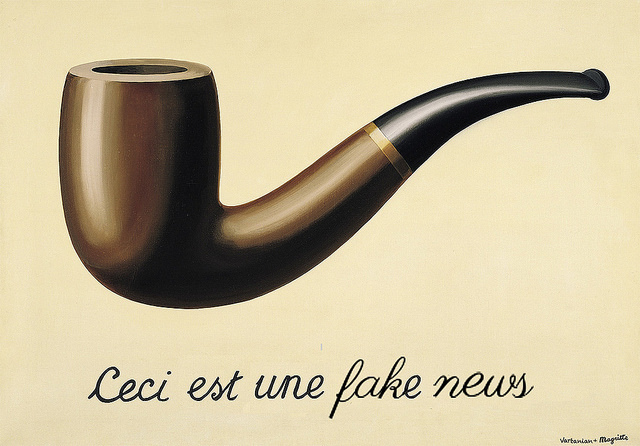 “Fake news” or “digital disinformation” as it should be called, threatens the integrity of knowledge and the sovereignty of information and democracy. It touches on many aspects of our lives, including the politics of climate change, globalization, feminism, health, science and many other concerns. It posits that all positions are equal due to the abundance of online information (alternative facts, post-truth) and it threatens the integrity of knowledge and scientific reasoning. The spread of disinformation is not new. It was a consistent focus of IAMCR work in the global North and the South on contested framings of knowledge through asymmetrical power relations well before the digital age. This focus was especially present in research on issues of trust and professional journalism and the role of journalists in contesting misinformation produced and circulated through traditional mass media. The production, circulation and consumption of information that is designed to manipulate and deceive, mediated by digital technologies, has global reach. Its increasing scale, scope, and speed of transmission are leading journalists, social media platform operators, politicians and scholars to question their practices, roles and responsibilities. For researchers, the challenges to practice are threefold: 1) Positioning our contributions as citizens in the fight against information distortion, fundamentalism and obscurantism; 2) Contesting the treatment of scholarly research as mere “opinion”; and 3) Confirming the role of researchers as legitimate contributors to public debate. As a community of scholars and practitioners with advanced training and skills for producing and analysing mediated communication, IAMCR is committed to ensuring that its members are well-positioned to contribute to the debate about “fake” news wherever they can by drawing upon insights informed by a variety of disciplinary perspectives on the emergence of an increasingly complex and digital public space. Through their commitment to critically examining the material and symbolic aspects of the mediated production and consumption of disinformation, IAMCR members are well-positioned to offer expertise concerning the development of evidence-based policies, including through the association’s observer status with UNESCO. Moreover, the IAMCR community is committed not only to scholarly research and analysis, but also to civic outreach aimed at alerting and enlightening politicians and citizens about the importance of media education as a vital form of political education in the modern world. To educating students, political leaders and citizens about the implications of our research for the benefit of an informed and enlightened polity. IAMCR believes that these principles should be incorporated into the debate around digital disinformation as well the possible policy responses. IAMCR’s membership is committed to demonstrating how alternative media and civil society participatory responses, informed by evidence, can counter power asymmetries in the informational environment and contribute to the formulation of policy responses that support democracy, public debate, and the integrity of knowledge and scientific reasoning. This text was drafted by IAMCR's Clearinghouse for Public Statements and approved by Professor Janet Wasko, president of IAMCR.